Chennai: The Madras High Court has directed the Tamil Nadu government to consider a plea for increasing the retirement age of government doctors from 58 years to 65 years. The first bench comprising Chief Justice Indira Banerjee and Justice P T Asha gave the direction while disposing of a PIL from K Purushotham, the Associate Professor of Medicine at the Madras Medical College and General Hospital here. 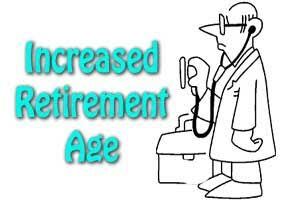 The bench in its June 18 order noted that it appeared from the affidavit in support of the petition that the Medical Council of India has approved, modified and amended the age of retirement of government doctors and several states had increased the age of superannuation to 65 years. It directed the Tamil Nadu government officials including the Chief Secretary and the Health Secretary to consider the representation of the petitioner by giving him and other doctors a hearing. Making clear that it had not gone into the merits of the contentions in the representation by the petitioner, the bench said the doctors may be heard through a representative. The petitioner, who had made a representation to the authorities concerned on November 23, 2017 on increasing the retirement age, said there were around 800 other government doctors in his age group who will benefit by enhancement of the superannuation age. He also said several states, including Odisha and Haryana, had raised the retirement age beyond 60 years and hence the Tamil Nadu government could emulate them. Such a course would benefit and be useful to emerging medical students and also for the general public in getting services of qualified and experienced medical doctors.